Who Wants To Publicly Shame Some Gnome-Happy Brewers Fans? 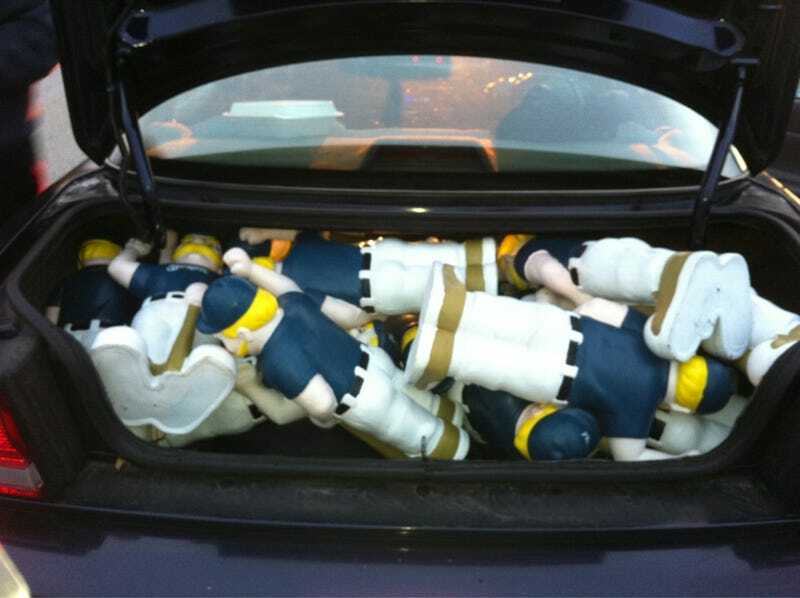 The Brewers and the Milwaukee Parks Department teamed up to hide 1000 of these little Bernie Brewer gnomes along the Lakefront, with the public free to take one if they found it. Well, some folks got there at 3 a.m. and started taking as many as their cars could hold. And of course, they're selling them on eBay. A Journal Sentinel blog is calling for photos of fans spotted gnomehording, presumably so that they can be publicly drowned in Lake Michigan, as is tradition. So do your duty, Milwaukee narcs. I'm not actually super-concerned with catching these folks, jerks though they may be. I just wanted to make sure I'm not the only one creeped out by these pictures of gnomes.